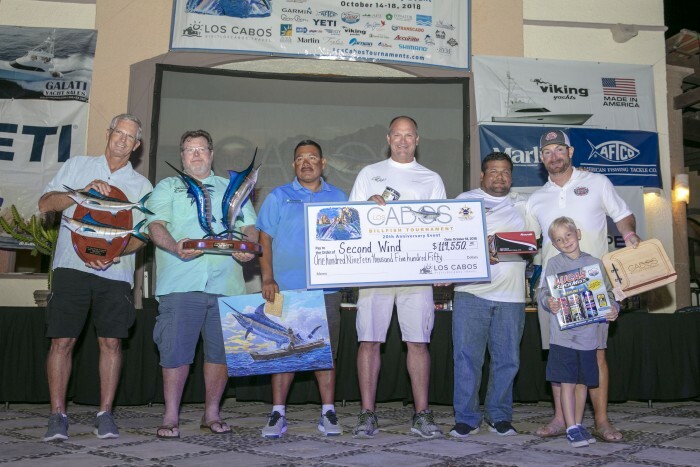 The 20th Annual Los Cabos Billfish Tournament recorded 150 billfish catches across three days of fishing. CABO SAN LUCAS, MEXICO (MONDAY, OCTOBER 22, 2018) — Radio Channel 28 stayed lively all three days of the 20th Annual Los Cabos Billfish tournament, with the tournament fleet averaging 50 releases each day. Last year, anglers released 61 blues and 31 striped marlin; this year, the striped marlin bite returned with a fury. In total, the fleet of 52 boats caught 150 billfish, consisting of 109 stripes, 29 blues, five blacks, five sailfish and two spearfish. Days one and two saw stronger afternoon bites, while day three’s afternoon bite was the slowest of the tournament. Fishing teams were competing for $642,300 in cash, plus prizes. 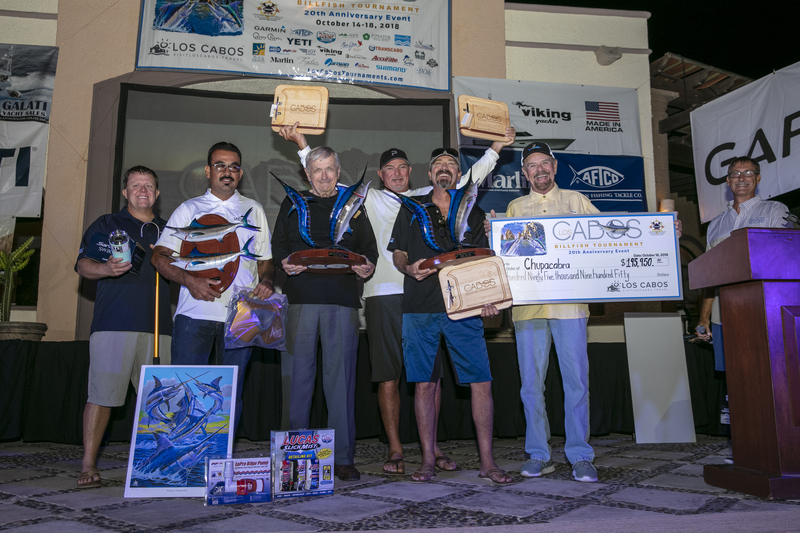 The overall winner of the 20th Annual Los Cabos Billfish Tournament was Team Sea Angel, scoring 1,700 points. 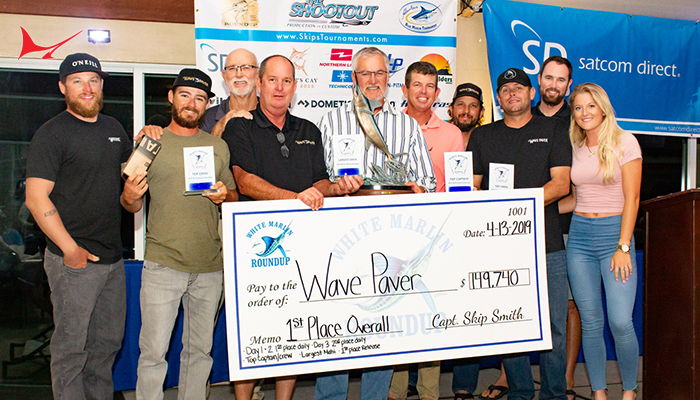 Sea Angel didn’t weigh any fish, but thanks to their 28 striped marlin releases and one blue marlin release, they were able to hold onto the top spots in the Overall Team Division and Overall Release Points Jackpot. Plus, they won the Day Two Release Points Jackpot. The team, consisting of Capt. 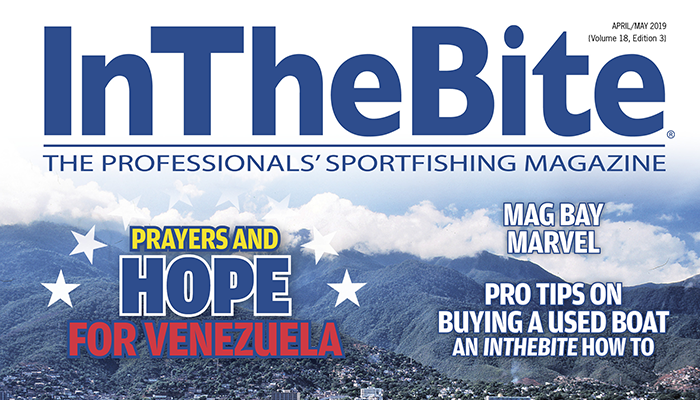 Billy Chase “BC” Angel, Andrea Angel, Greg Angel, Austin Angel, Chase Travers, Fico Ortega and Juan Carlos Buenes, earned $113,500 for their efforts and an invitation to the 2019 Offshore World Championship in Costa Rica. For his outstanding showing, Capt. 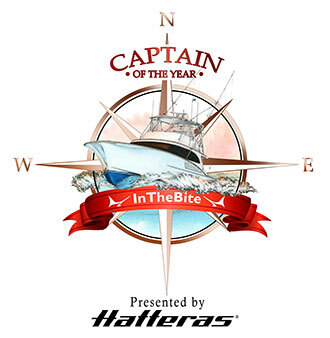 BC Angel won the top captain and received a Garmin Quatix watch. The Los Cabos Billfish Tournament awards 300 points for black and blue marlin releases, while striped marlin, sailfish and spearfish are just 50 points. Marlin weighed over the 300-pound minimum are awarded points based on their weight. In 2018, each pound was worth 1.5 points, so a 500-pound black marlin catch earned 750 points. 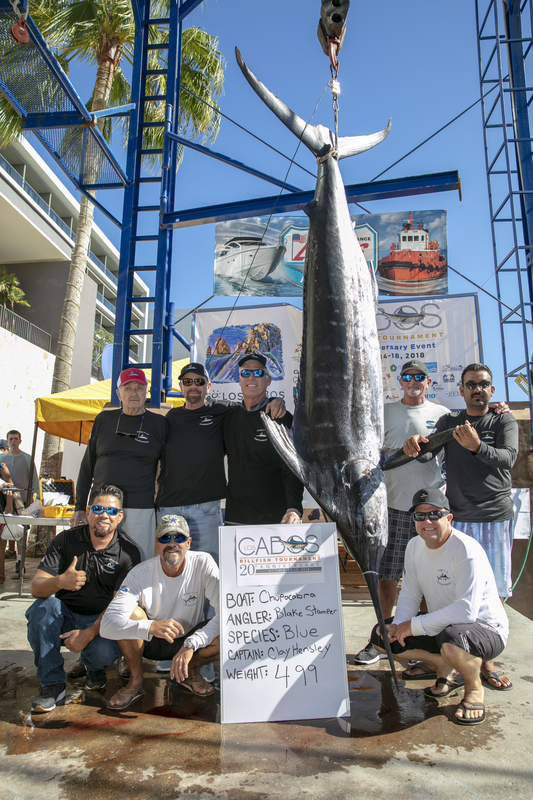 The Los Cabos Billfish Tournament point system favors blue and black marlin releases, or catching a monster marlin for weigh-in, but Team Sea Angel was able to defy the odds by totaling 28 striped marlin releases. The year 2018 was the first time a team not weighing a marlin won first-place team in the tournament. Second-place in the Overall Team Division went to Team Chupacabra with 1,548.5 points. The team released two blue marlin and four striped marlin for 800 points. On the third day of fishing, angler Blake Stamper landed a 499-pound blue marlin worth 748.5 points. The monster blue marlin won all four levels of the Day Three Marlin Jackpot and the Overall Largest Marlin Jackpot. The team, consisting of Capt. Clay Hensley, Bo Jenyns, Jason Douglas, Blake Stamper, Don Stamper, Don Logue and Pablo Pino, earned $195,950, the largest check of the tournament. 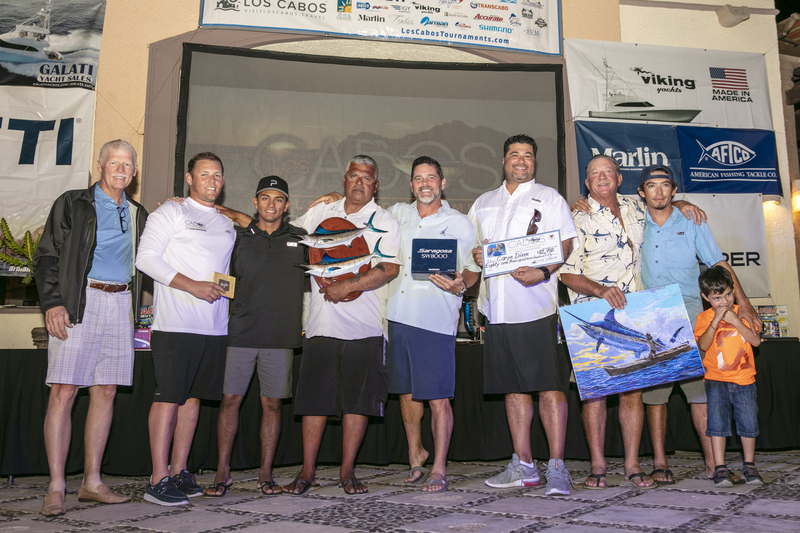 Third-place in the Overall Team Division was secured by Team El Suertudo with 1,400 points with four blue marlin, three striped marlin and one spearfish. The team also scored the Day One Release Points Jackpot and Second-Place Overall Release Points Jackpot. Their top-three finishes earned them $57,780 in total. The El Suertudo team consisted of Capt. Greg DiStefano, Bruce McDonald, Alfonso Ortega, Guy Yocom, Oswaldo Ortega, Gary Mason, Dave Elow, Azam Flores and Noe Isaias Cruz. 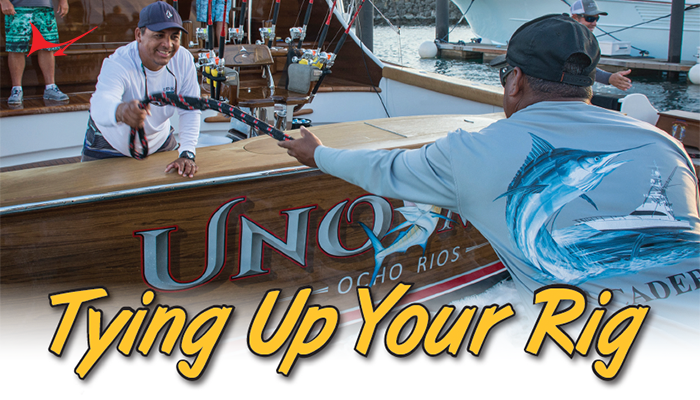 Three qualifying marlin were caught during the tournament, with Team Chupacabra’s the heaviest. 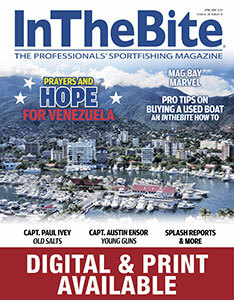 But two other marlin catches on days one and two won teams Carpe Diem and Second Wind large cash payouts. On day one, Carpe Diem’s Dr. Rick McShane landed a 467-pound blue marlin. The blue marlin won all four levels of the Day One Marlin Jackpot, earning $81,750 for the team. The 2018 Carpe Diem team was made up of Capt. Jeff Hamm, Dr. Ricky McShane, James McDonald, Gary Benson, Kellium Tice, Alex Hill and Juan Manuel. On day two, Team Second Wind won the day with a 363-pound black marlin caught by angler Ryan Donovan. 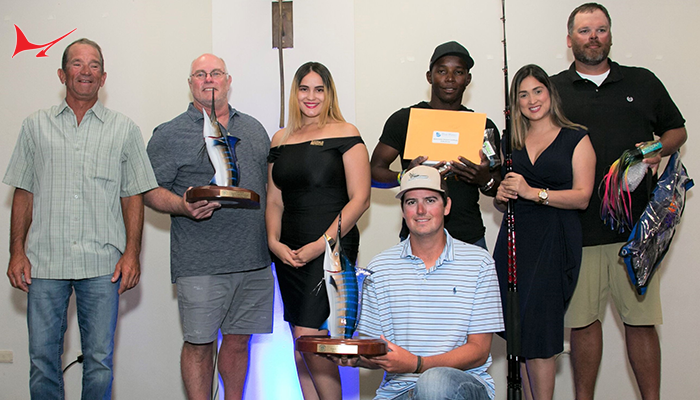 The catch solidified all four levels of the Day Two Marlin Jackpot and second place in the Overall Largest Marlin Jackpot for a grand total of $119,550. 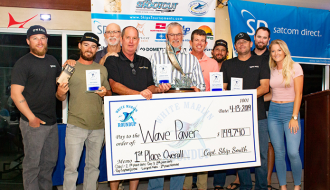 Second Wind got redemption with their day-two catch after weighing a marlin on day one that was seven pounds shy of the qualifying weight of 300 pounds. The Second Wind team consisted of Capt. TJ Dobson, John LaGrone, Ryan Donovan, Tony Frascone, Erik Chang and Jerry Bribiesca. 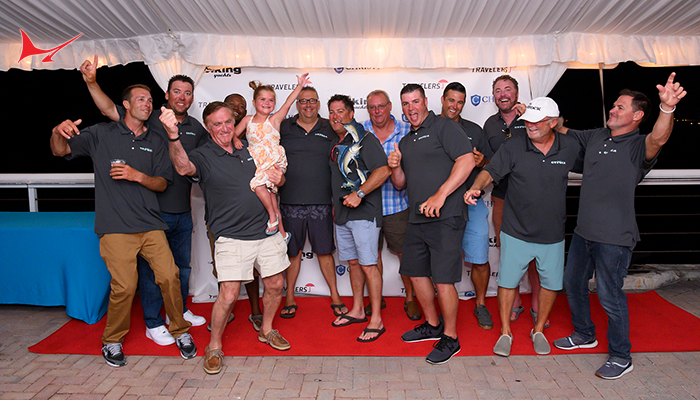 Team Yahoo had two strong days of striped marlin fishing after a slow first day to win third place in the Overall Release Points Jackpot. On day three, the team also won the Daily Release Points Jackpot with 12 striped marlin released worth 600 points. Team Yahoo consisted of Capt. Ricardo Escamilla, Bryce Schell, Mike McKamey, Kurtis McKamey, Jose Escamilla, Ricardo Escamilla and Valentine Ucamp. In total, the team won a check worth $18,420. 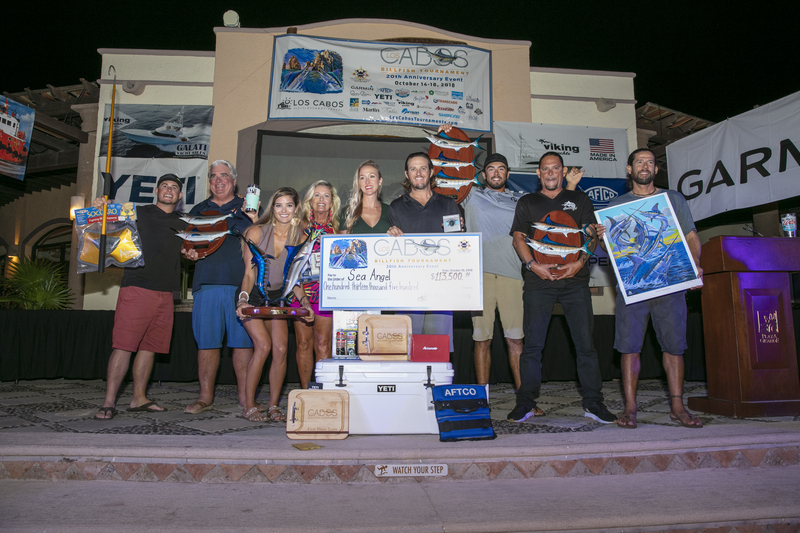 Teams entered in the Tuna/Wahoo/Dorado Jackpot who weighed gamefish species were also able to get on the winner’s stage and take home cash prizes. 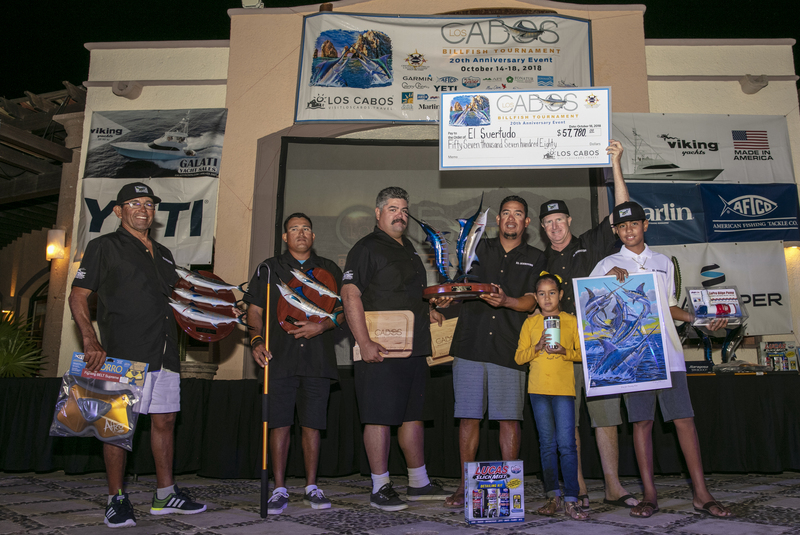 No qualifying dorado were landed over the three days of fishing so that prize money was distributed to the tuna and wahoo winners. On day three, no qualifying wahoo were caught, so that purse was split between the day one and two winners. Angler Edward Cota, of Team Estella Del Norte, landed a 66-pound yellowfin tuna to win the Largest Tuna Daily Jackpot. The fish won Team Estrella Del Norte $10,762. The team consisted of Capt. Adrian Miranda, James E Rosenwald, Daniel Camacho, Adrian Miranda and Edward Cota. Angler Jesus Garcia, of Team El Animal, landed a 37.2-pound wahoo to win the Largest Wahoo Daily Jackpot. The fish won Team El Animal $13,837. The team consisted of Capt. Hugo Beas, Jesus Garcia, Jose Roberto Sanchez, Jose Macias and Daniel Fiol. Angler Scott Leonard, of Team Game Time, landed a 31.3-pound yellowfin tuna to win the Largest Tuna Daily Jackpot. The fish won Team Game Time$10,762. The team consisted of Capt. Javier Zamaya, Kris Anderson, Scott Leonard, Matt Condon and Manuel Gil. Angler Jim Smith, of Team Mjolnir, landed a 43.9-pound wahoo to win the Largest Wahoo Daily Jackpot. The team consisted of Capt. David Harris, Brandon Walton, Jim Smith, Brandon Baiocco, Jared Dow and Kevin Schloot. Angler Jim Smith, of Team Mjolnir, landed a 70.3-pound yellowfin tuna to win the Largest Tuna Daily Jackpot. For their day two and three catches, the team won $19,987.